IS YOUR YOUNG CHILDREN’S MEDIA TIME NUMBING THEIR MINDS OR FEEDING THEIR HEARTS? 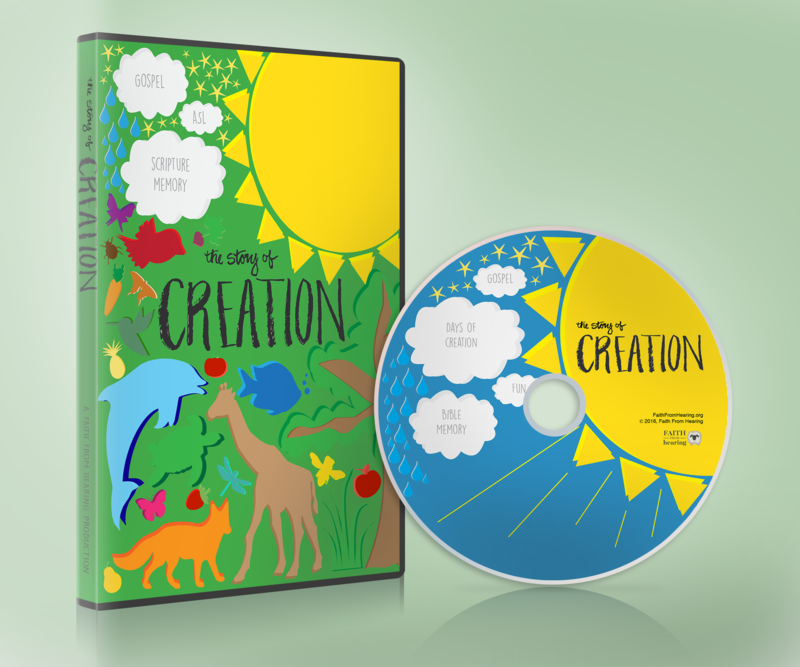 Introducing a new DVD that will captivate young children while introducing God’s Word. In our media-saturated culture, it’s a battle to nourish our kids’ minds when there’s ‘junk food’ at every turn. Despite thousands of hours of entertainment at our fingertips, we still struggle to find content we don’t mind pressing ‘play’ on. All too often we settle for mindless entertainment and wish there was a way to make media time more than a cheap babysitter. 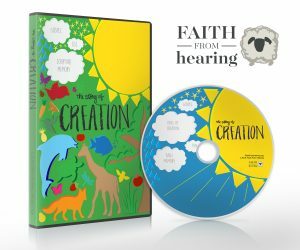 Faith From Hearing has created a unique resource for parents and children’s ministry teachers that helps them expose children to the Word of God while delighting them with clean entertainment. 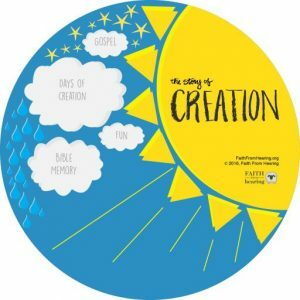 Where did “The Story of Creation” begin? As a single, homeschooling mom of 4 young children, Melissa knows well the struggle to keep young children occupied! She was frustrated that the products marketed toward her children were either mindless entertainment or watered-down Bible stories that presented Scripture as a collection of myths. What if there was a video that taught kids pure Scripture AND kept them entertained? Melissa shared her vision with her friend, Elise. As a nanny and children’s ministry teacher, Elise immediately saw the benefit and need for such a tool. Together they originated the idea of videos that use ASL and animation to teach kids Bible memory. 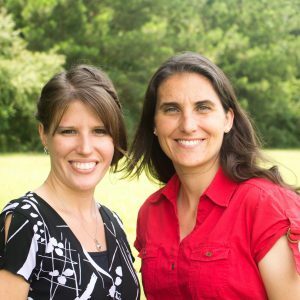 Their passion is to create a tool for parents and children’s ministry teachers that delights children while feeding their hearts and minds with Scripture. The entire week of creation spoken and signed with animations to compliment the story. If there is only 1 God, why does scripture say, “Let US make…”? Why does God create the world in 6 days? Why does He rest on day 7? a clear Gospel presentation presented in a way that a child can understand. The Story of Creation provides a satisfying answer to the incessant question of “can I watch a movie?” Now you can say “Yes” and have the confidence and peace of mind that your children will be entertained and God’s word upheld in their hearts during their media time. we will give you a complete refund! Entertain your children while filling their hearts with God’s Word! Entertain your children while filling their hearts with God's Word!